Our role in construction and development includes conceptual planning, project scheduling, co-ordination of architectural and engineering services, zoning regulation review and approval, management and total project costing, pre-construction services, conceptual estimating, value engineering, construction administration and cost estimating. 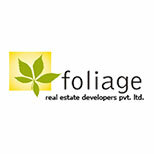 Foliage serves both domestic and international clients. Be it a company, investor, developer or an individual investor, for us each client is as important as the other. Since day one, the company’s focal point has been the usage of finest in designs, working with latest of techniques and making absolutely no compromise on the quality of raw material or products. Our endeavour is to make structures of such a quality that can not only continue to stand tall against time but also resist any unkind conduct of the eternally unpredictable nature. The company tries not to miss any opportunity and has a perennial quest for large scale projects with high absolute and relative risk –adjusted returns. Our skilled and experienced staff supervises the, on and off, site activities ensuring that the product is ingeniously designed, skillfully built and efficiently dealt with in all ways, to reach a level that satisfies the customer’s expectations. The company’s team has an enormous and diverse experience of crafting noteworthy landmark projects. Our repertoire comprises of low rise residential schemes, high rise residential and commercial buildings, thematic townships/plotting estates, etc.